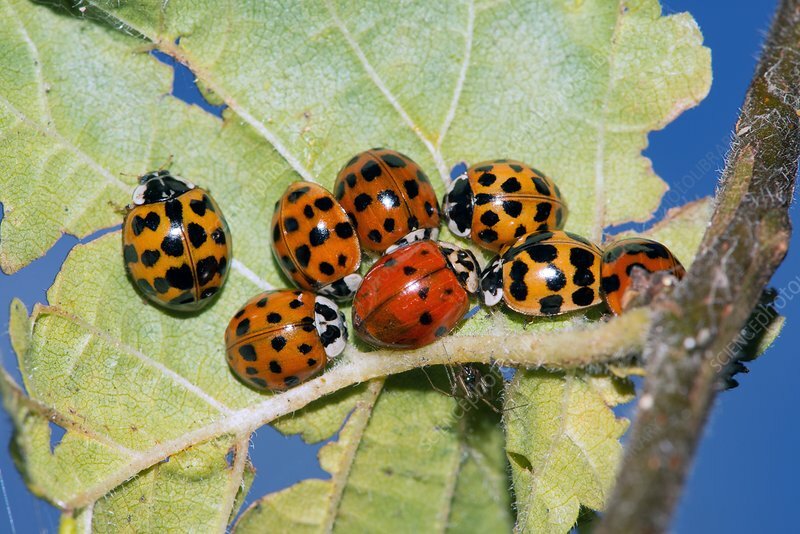 Harlequin ladybirds (Harmonia axyridis) hibernating under a leaf. Originally from Asia, this ladybird is an invasive species introduced throughout North America, north-western Europe and the UK. It occurs in a number of different colour forms; this variant has 18 spots. It becomes dormant in cooler months, congregating in cool, dry, confined spaces to overwinter. Photographed in the UK.